EXPERIENCE WASHINGTON, DC IN A MERCEDES-BENZ GLASS-TOP CONVERTIBLE! SEE THE WHITE HOUSE, THOMAS JEFFERSON MEMORIAL, LINCOLN MEMORIAL AND MANY MORE! TAKE IN THE BEST PANORAMIC VIEWS OF WASHINGTON, DC AND THE POTOMAC RIVER! Explore the Washington, DC-region in the most unique sightseeing experience yet. 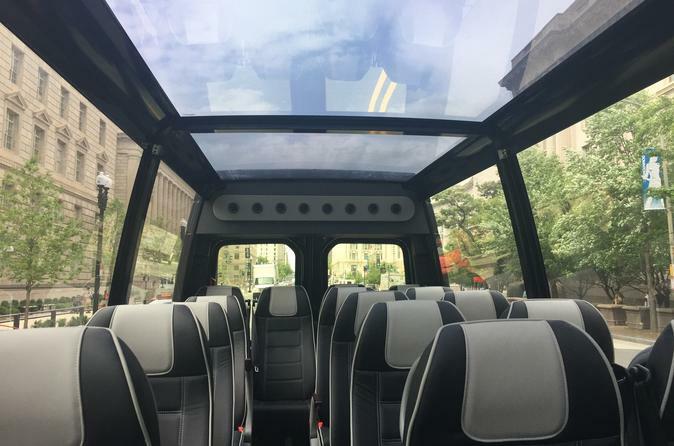 We’re providing the best panoramic view of Washington, DC, National Harbor, MD and Old Town, Alexandria via our new, luxurious, glass-top convertible - a Mercedes-Benz Sprinter!